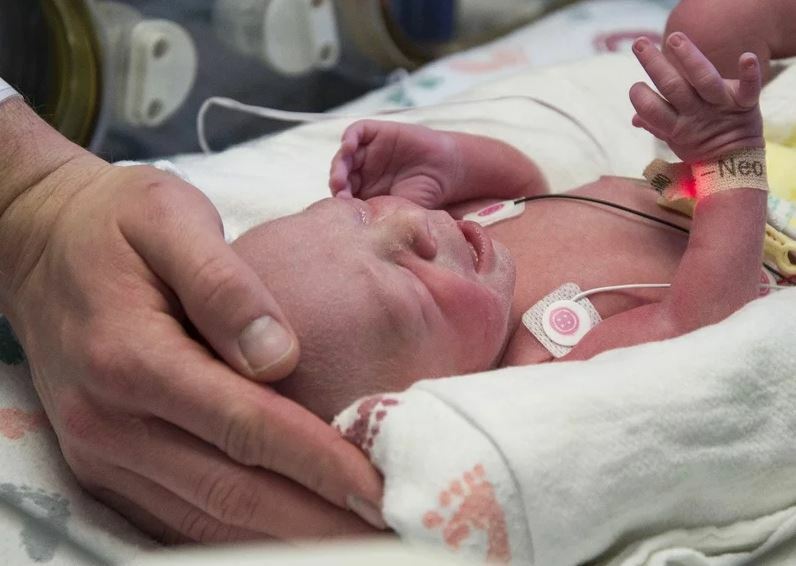 The mother of this child is a participant in the hospital’s uterus transplant clinical trial conducted by the Baylor Scott & White Research Institute. The goal of the trial is to implant wombs in ten women with absolute uterine factor infertility (AUI), which is defined as a nonfunctioning or lack of a uterus caused by a birth defect or prior medical treatments. After a year of monitoring, the women’s own fertilized embryos are implanted in the womb. This miraculous birth was the result of years of research that included studies on mice, sheep, and baboons prior to human participants. John A. McCracken, Professor in Residence in Animal Science at the University of Connecticut, developed a sheep model of uterine transplants. 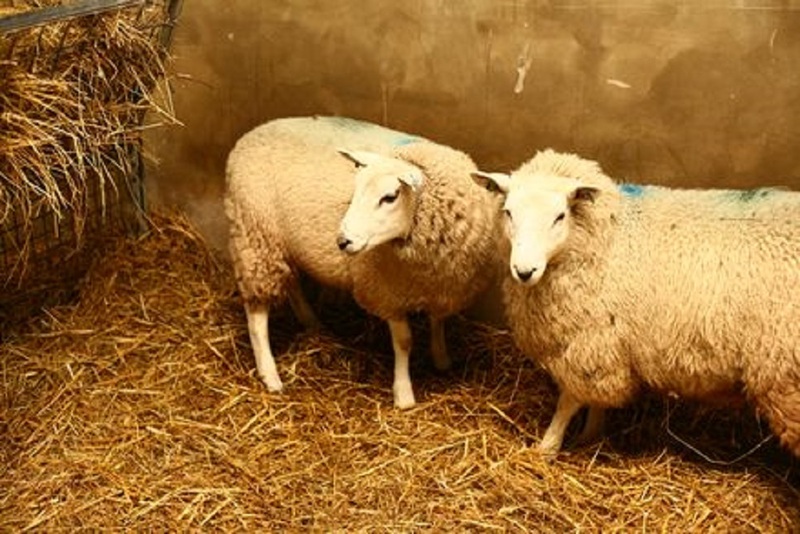 The sheep is an excellent model of female reproductive anatomy due to their similarities with human pelvic vasculature and the techniques Dr. McCracken and his team developed to gain access to the area for transplants. After Dr.McCracken presented on this model at a scientific conference, he was approached by Swedish physician Mats Brännström, who wanted to transplant the uterus in women so that they could give birth to their own children. The two developed a collaboration involving sheep transplant studies where they simulated the human transplantation process. They cooled the excised uterus in cold saline for one hour, re-transplanted the sheep uterus, and measured the reperfusion rate of blood flow, which returned to normal rates (this study was published in the Journal of Obstetrics and Gynaecology Research). Following this success with the sheep model, Dr. Brännström received approval to perform uterine transplants in a baboon model. He and his team demonstrated successful transplantations from live donors, with 100% donor survival rate, restored menstruation in 60% of recipients, successful suppression of rejection with treatment, and survival of the transplanted uteri for over 12 months (see review published in the Journal of Materials Science: Materials in Medicine). Due to these achievements in the baboon, Dr. Brännström was able to successfully transplant uteri in two women, donated by their respective mothers. Finally, the first ever live birth from a transplanted uterus was announced by Dr. Brännström in September 2014 at Sahlgrenska University Hospital in Gothenburg, Sweden. This remarkable achievement was published in The Lancet. Olive baboon. Image credit: Wikipedia. The ongoing trial at Baylor is one of a few uterine transplant programs in the United States, and the only to use both living and deceased donors. So far, eight women have completed the uterine transplant. Three have failed thus far, but the hospital has confirmed that another participant is currently pregnant. In addition to surrogacy and adoption, uterine transplants offer another option for women with AUI, one that allows them to gestate and then give birth to their own child. “When I started my career we didn’t even have sonograms. Now we are putting in uteruses from someone else and getting a baby,” states the obstetrician and gynecologist who delivered the baby, Dr. Robert T. Gunby, Jr., to TIME. This would not have been possible without the animal studies that supported this clinical trial, an extraordinary example of the value of animal research to medical progress. From rodents, to sheep, to monkeys, to humans, the culmination of decades of research now provides hope for women who dream of carrying a child. Posted on December 5, 2017 December 5, 2017 by EditorPosted in News, Science NewsTagged Dr. Brännström, kathryn henley, sheep, transplant, uterine transplant, womb transplant. Previous Previous post: Research Roundup: hope for long-term amputees, a call to arms for the study of Parkinson’s disease and more! Next Next post: Winning at Science Communication: Bird brains, not bird-brained!